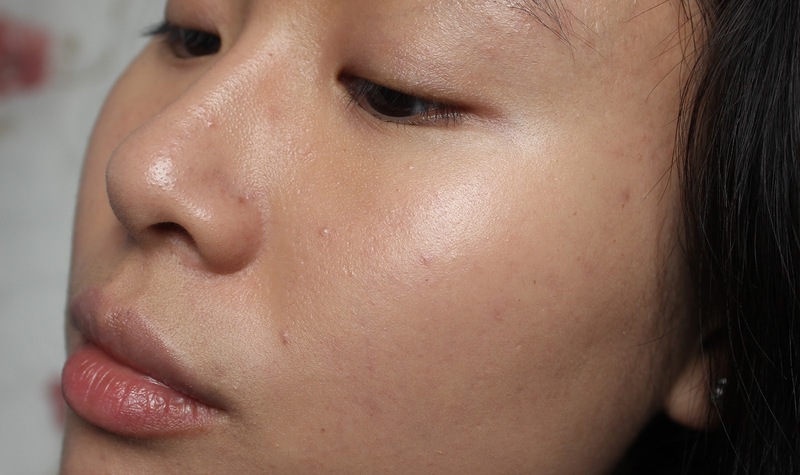 After hearing major raves about the Dior DreamSkin Perfect Skin Cushion, I wanted to see what all the hype was about for myself. This was no lighthearted purchase because this is is most definitely a luxury-priced cushion. The compact with a refill (two 15 ml cartridges and the casing) is $82. Yes, you read that right! Each individual refill is $42 - you can easily get two cushion refills from other brands at that price point. Given the high price, I obviously had very high expectations for this cushion. Dior brands the DreamSkin cushion as "tinted skincare" and claims it will improve the appearance of redness, shine, and pores. While I can't vouch for the skin health benefits this might provide, it does have SPF 50 to give your face a little extra protection. I personally view all tinted face products as more makeup than skincare (because eventually you're going to have to remove it and properly cleanse). Packaging-wise, it's a standard cushion compact with plastic casing. The product is made in Korea so I wouldn't be surprised if it was made in the same places as many other brands. The refills for these do not fit into the Laneige compacts (since I get that question quite a lot). 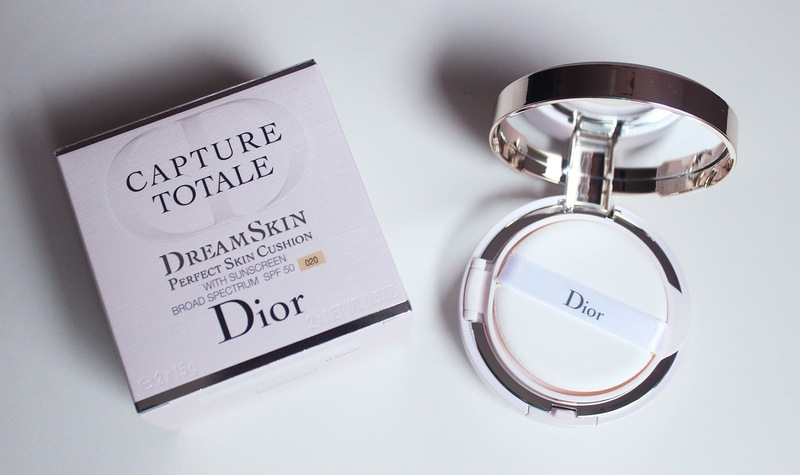 This cushion has the same scent as the Dior DreamSkin skincare products, a light floral scent. It's not overpowering and not detectable on my skin after application. As far as I can tell, the applicator puff is the standard kind of puff that comes with every cushion. This imparts very light coverage but you can definitely see that it evens out my skin tone and makes my face much brighter and awake. 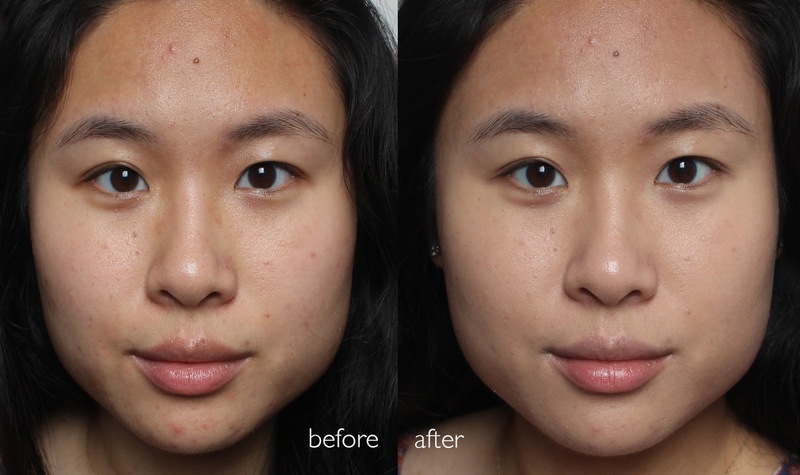 Problem areas like my chin look significantly better and my dark under eyes are diminished. The cushion does not completely erase my redness and you can still see some scars and spots but I don't mind that. I use the shade 020, the second lightest of four total shades and while it's a little on the pink side, it's sheer enough that I don't think the match is too bad. The DreamSkin Cushion feels weightless on the skin and has surprisingly good lasting power. It doesn't transfer to other surfaces and even after 12 hours it looks pretty good on my combination skin. My preferred way of applying this is with the included puff because it's so quick. The product blends in seamlessly with just a few pats. For day to day wear, I like to set this with a translucent powder for a natural look. 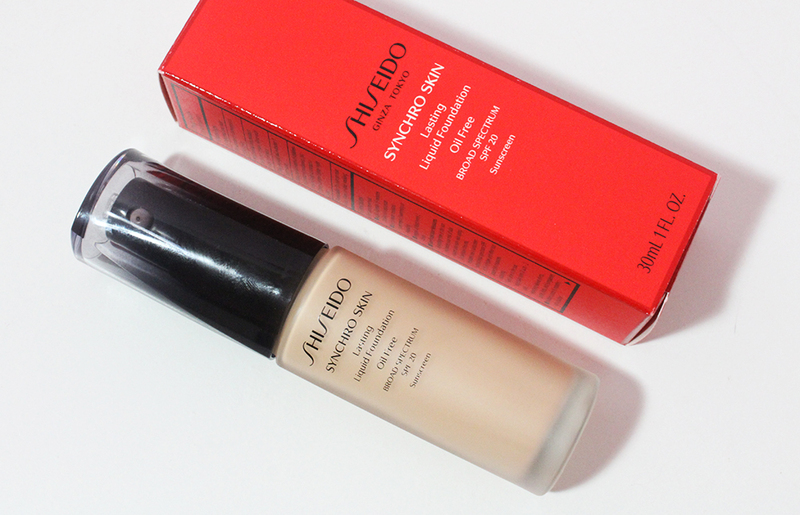 If I want more coverage, this looks really good under a light dusting of the Shiseido Sheer & Perfect Compact Foundation. I've read that other people apply another liquid foundation over this cushion but I haven't felt the need to do that. I really like this cushion for it's "my skin but better" effect but, alas, the cost is tough to swallow. I don't think this cushion is particularly unique that I need to spend $42 on each refill. I've used this cushion perhaps a dozen times and I already feel like it's starting to run out (but once I flip the sponge, I'm sure I'll be able to get many more applications). If you have the extra cash, are interested in makeup with skincare benefits, and like the no-makeup makeup look, this is worth a look. 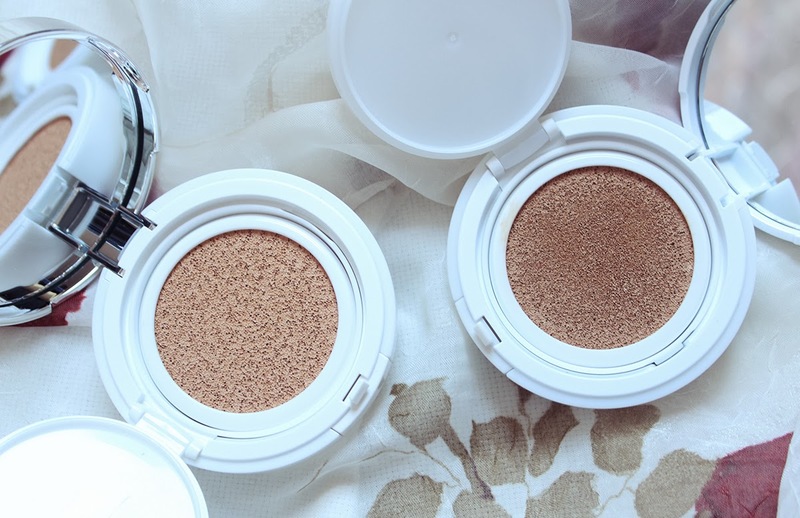 If you prefer at least medium coverage and don't have $82+ to spend on a product that will last you perhaps two months with daily use, there are other cushions for you. 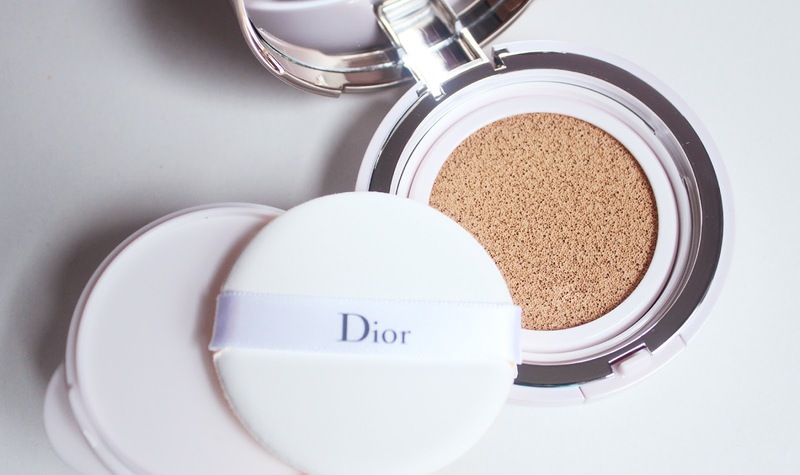 Have you tried the Dior DreamSkin Cushion? Dior also released a Forever Perfect Cushion in Asia and Europe which has much more coverage and that I'm quite interested in. I have a few international travels planned for later this year so I'll try to scope out that cushion to test out!